NBA November Recap – Process and Pistons and Thunder, oh my! 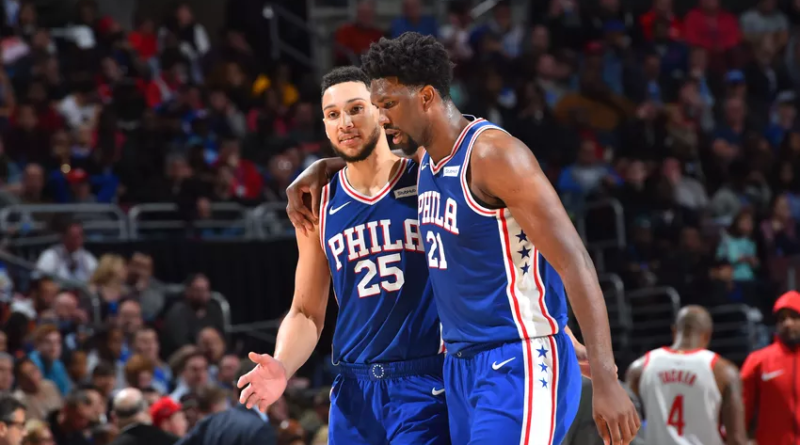 After years of being on the receiving end of jokes about their mediocrity, the Philadelphia 76ers appear to have finally broken onto the scene. Heckled mercilessly by the rest of the league while then-general manager Sam Hinkie pushed a massive team rebuild in the form of tanking (losing countless games, trading away core players for draft picks and young prospects, etc. ), the Sixers now appear to have had the last laugh. Joel Embiid, Philadelphia’s first round pick in the 2014 NBA Draft, has been one of the top centers in the league, averaging 22.8 points, 11.2 rebounds, 3.2 assists and 1.6 blocks, terrorizing teams on both the offensive and defensive ends – all while playing less than 30 minutes a game. Ben Simmons, the first overall pick in the 2016 draft, has been phenomenal as well. Playing a combination of playmaker and scorer, Simmons has averaged 18.1 points, 7.4 assists, 9.1 rebounds and 2.1 steals per game, drawing comparisons around the league to a younger version of Cleveland Cavaliers superstar LeBron James. Behind Simmons and Embiid, the 76ers are stocked with plenty of other young talent as well, seemingly for every need and position. 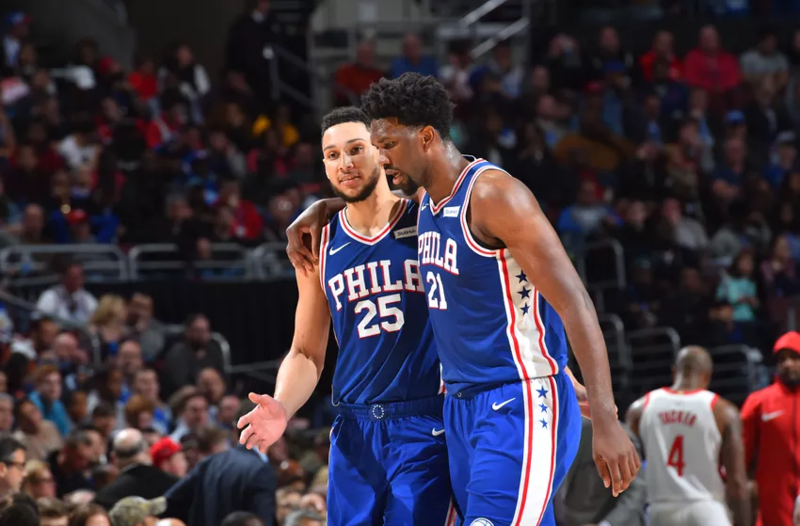 The numbers aren’t simply empty stats, either – as of November 29th, Philadelphia stands at 11-8, 5th place in the Eastern Conference, and smack in the middle of the playoff race. The Detroit Pistons’ slumber in the Eastern Conference seems to be over at last. After their glory days in the mid-to-late 1980s behind Hall of Famers Bill Laimbeer, Isiah Thomas, Joe Dumars, and Dennis Rodman, and a resurgence in the 2000s behind Chauncey Billups, Richard Hamilton, and Ben Wallace, the Pistons have been mired in mediocrity, never doing better than 8th place since the 2008 season. This season, though, they’re seemingly under a revival, off to a hot 13-6 start, good enough for 2nd place in the Eastern Conference above teams like the Cavaliers, bested only by the 18-4 Boston Celtics. The wins haven’t come from beating up on weak opponents, either – Detroit has wins over the Golden State Warriors, Oklahoma City Thunder, and the Celtics, all considered serious contenders for the NBA title. Andre Drummond, the team’s franchise cornerstone, has been a huge part of the turnaround. Drummond has been fantastic at rebounding his entire career, but issues at the free throw line (averaging no higher than 42% in his five seasons prior to this one, and a paltry 38.6% last season) have perennially stopped him from being called an all-around elite center. However, he’s turned it around this season, making 70% of his free throws in October, and even after cooling off in November, still maintains a decent 61.8%. The addition of shooting guard Avery Bradley has been a major factor as well. Traded by the Celtics as part of their maneuvering to acquire superstars Gordon Hayward and Kyrie Irving, Bradley has formed the glue of the Detroit defense, holding its own even against some of the top teams in the league. He showed this impact, as well as his own defensive prowess, in a 118-108 Pistons victory over the Celtics, as he held Irving to a poor shooting night, and a team-worst plus-minus of -21. It could just be a hot start, but if they can keep up the defensive tenacity, and the improved shooting, this team could go far. What happened to the Thunder? Heading into the season, the Oklahoma City Thunder looked to be on top of the world. With explosive, reigning MVP Russell Westbrook getting superstar help in the form of Paul George and Carmelo Anthony, the Thunder were considered to be in the upper echelon of the NBA, in the same conversation as the Chris Paul and James Harden-led Houston Rockets and the Golden State Warriors for Western Conference contention. They’ve got plenty of time to turn things around, but at the moment they stand at 8-11, dead last in the competitive Northwest Division and 9th in the conference. A few culprits appear to be the issue for Oklahoma City, one of which is Westbrook himself. While he’s still been the franchise player, averaging 21.6 points, 9.7 assists and 9.1 rebounds per game, he’s done so with the worst field goal percentage since his rookie year, and the worst free-throw shooting of his career. His iffy shot selection has been clear as well – in a game where the Thunder blew a 15-point lead to the Detroit Pistons with 2 minutes left to play and trailing by four, Westbrook threw up a heavily-contested three-pointer off the dribble that hit backboard without touching the rim. When he got a second chance to reset the play after a well-timed offensive rebound, he immediately threw up another shot, this time missing everything altogether with an airball. This turned out to be a costly possession, as Detroit only ended up winning by 1. The issue of inconsistency could also be said about Paul George. Sometimes playing up to his superstar billing, he has also had games where he can’t seem to buy a basket – a 4-for-16 shooting performance in a loss to the Sacramento Kings and a 1-for-12 performance in a blowout loss to the last-place Dallas Mavericks being the two worst offenders. While Carmelo Anthony hasn’t been playing much worse than before, the erratic shooting of his fellow stars has allowed other teams to take advantage of the Thunder’s biggest offensive weakness in the starting lineup: Andre Roberson. While Roberson has been a defensive stalwart, shutting down opposing top players, he has been a black hole on the offensive end. His 27% three point-field goal percentage hasn’t allowed him to space the floor like most other contemporary NBA shooting guards, while his 1.2 assists per game highlight his playmaking shortcomings. Finally, his free throw percentage has been a major drawback. Following a terrible postseason where he shot 14.3% from the line, he’s fallen to a regular-season worst 30%, meaning that in crunch time, when teams need players who can both defend and shoot to counter a quick-foul strategy, he becomes a non-factor. There’s still plenty of time for Oklahoma City, but unless their superstars can turn it around, their championship aspirations might be dwindling. There are countless storylines throughout the rest of the league (the resurgence of the Cavaliers after an early-season slump, the injury bug, the rise of “the unicorn” Kristaps Porzingis and the New York Knicks, and so forth) and countless others bound to arise as we march towards the playoffs. But they all sum up to one thing that, as long as you have some free time, we can all enjoy: plenty of basketball.